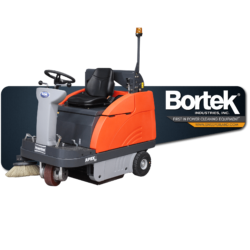 Ditch the broom and clean dust and debris with the efficiency of a sweeper. 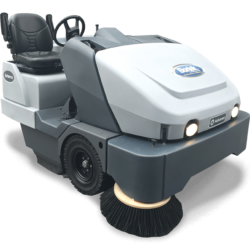 We have a variety of sweepers to fit any situation, including manual walk-behind sweepers, medium-sized rider sweepers, large sweepers for indoors and outdoors, and combination cleaning sweeper/scrubbers. 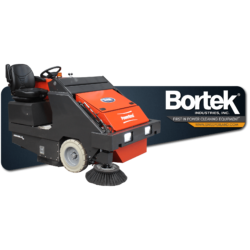 For a machine that is not battery powered, the 950MS is extremely effective with three brushes and the main brush sweeping debris into the hopper. Plus, it is lightweight and folds up to save you storage space. 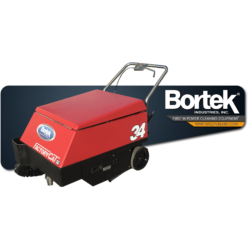 Tough enough to pick up metal shavings, woodchips, and broken glass, the Model 34 is able to handle the heavy-duty cleaning no sweat. Streamline the way you clean. The Collector 34 delivers high sweeping performance and capacity saving both time and labor costs due to the large main broom and hopper size. 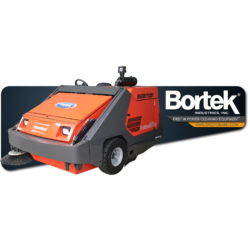 This machine is built for years of consistent and reliable service through the strong chassis and powerful drive-train system. 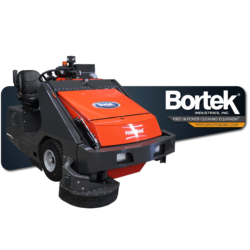 Clean up to 350,000 square feet in one shift on a single charge. 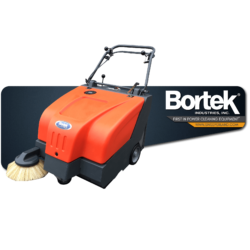 This machine is a money saving cleaning machine. 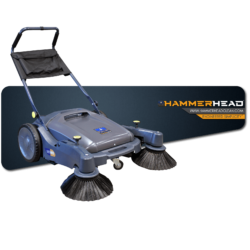 Built with a large 62″ sweep path that can be increased to 77″ with the retractable side brooms. The 9X also has an optional MERV 7 HEPA filter. 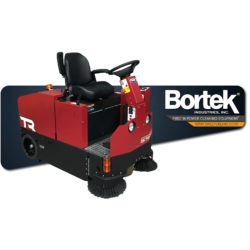 One of the most effective sweepers for both indoor and outdoor cleaning, the Exterra offers superior dust control, innovative safety features, and low maintenance costs.